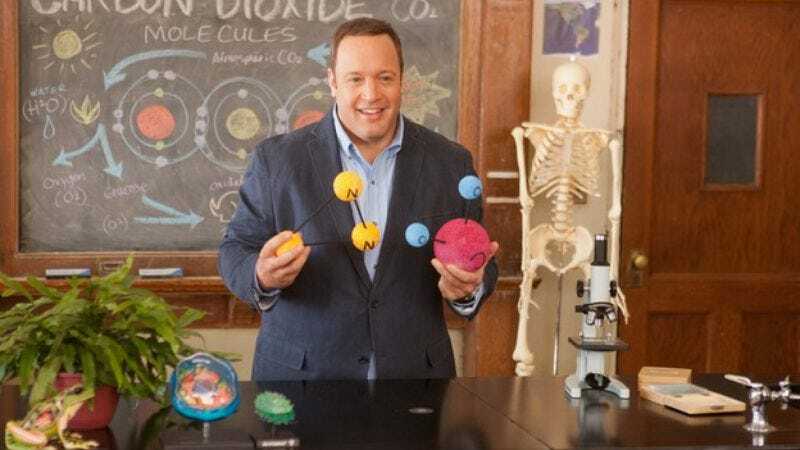 Kevin James is making his way back to TV. The King Of Queens star has signed a deal with Lionsgate that will result in an as-yet-undeveloped multi-camera TV project for James. While the premise is vague, the particulars of the deal are pretty solid: Variety reports that the show has a “10/90 format,” which means that if the first 10 episodes of the sitcom meet some predetermined ratings target, 90 more will be quickly made, promptly and presumably sending the show into the lucrative syndication market. Lionsgate has previously employed the 10/90 model for Charlie Sheen’s Anger Management and George Lopez’s Saint George, yielding nothing but the highest-quality projects deserving of years of writing, staffing, and network time, as mandated by their locked-in contracts. The King Of Queens ran for nine seasons on CBS, and is probably airing right now on some TBS or TNT affiliate.